An audit is a time-based process, an official examination, and a verification of financial accounts and records. It is a big challenge to keep clear financial records. If an organization doesn’t have the right technology, this process can be very stressful and time-consuming. Try Harrington’s software solution. It comes with internal audits, operational audits; IT audits, supplier audit. 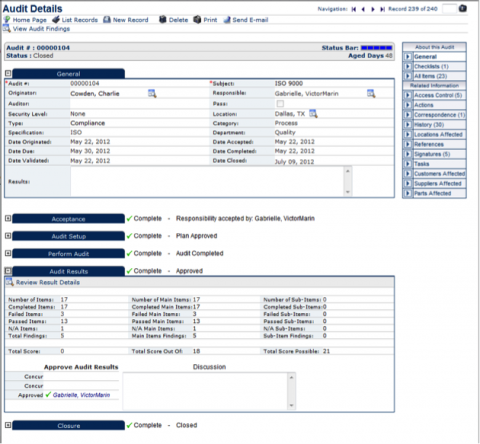 It helps you to manage complete audit files from the bottom level. This solution helps planning, scheduling, development of a standard, audit plan, and checklists. That means it applies to all stages. Harrington’s Audit Management Software is a user-friendly, menu-driven and a reliable solution for your enterprise. Harrington’s Audit Management Software is the best fit for your talented audit team that helps them to excel in their role, with greater precision. You will not regret by choosing our Audit Management Software as your primary auditor of your critical financial transaction assessment.